The Moto E4 was announced only 10 days ago, yet you can already buy one today from Verizon. This is the regular E4, though, so it’s not the slightly more feature-packed Plus version. Still, at $69.99, it’s a pretty good starting price for a prepaid phone. 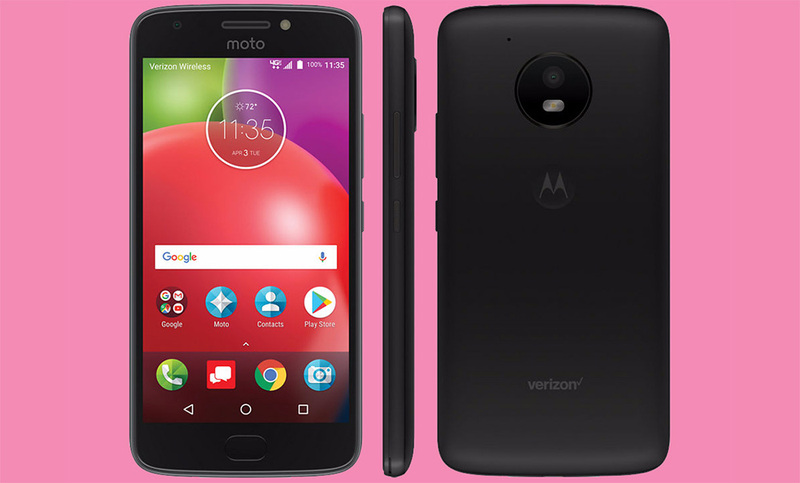 To recap, the Moto E4 is Motorola’s latest budget E-line phone that packs a 5-inch 720p display, quad-core Snapdragon 425 processor, 2GB RAM, 16GB storage, 8MP rear camera, 5MP front camera, 2800mAh removable battery, fingerprint reader, and Android 7.1 Nougat. It doesn’t have NFC, just FYI. Verizon currently has the Moto E4 priced at $69.99, which they claim is down from $199.99. The problem there is the fact that Motorola told us the regular E4 starts at $129.99. So yeah, Verizon, you are discounting it, but let’s not go nuts with the deception here.